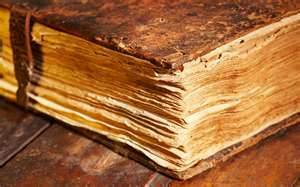 This is perhaps the oldest copy of the Tristine Chronicles! It is the only known copy of the Chronicles that has the passage below, and was in the hands of Cava. In it is a passage about a weapon that could be used to bring back the dreaded Old Ones. Included also in the Tristinium is the role of the Danzi, and how Set’s late arrival decimated their number in the battle against the Old One Netosa. This battle was before Set became lord of the Gods of Darkness. Over 60 million Danzi men and women died in that battle, 99% of their population. This was given to CrIsis by Firsar, and was given to Malkin Falimede by Cava on Od 30, 110.